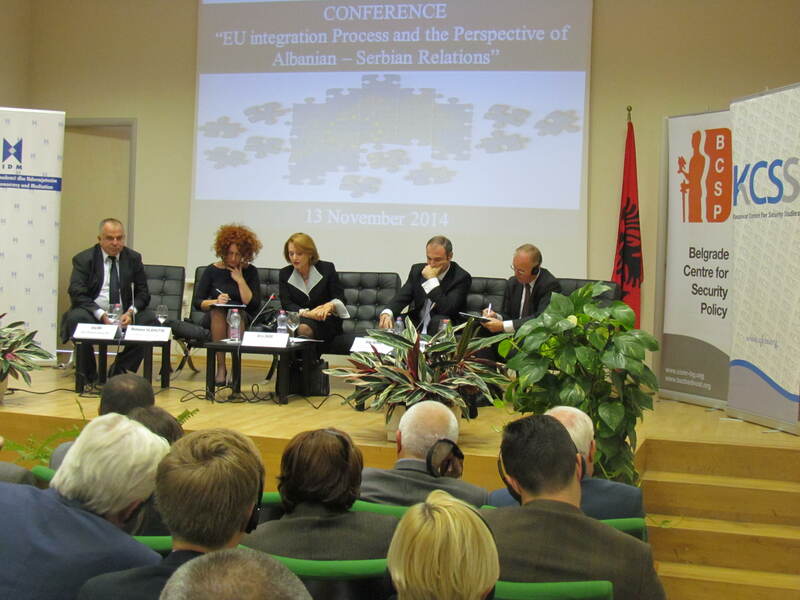 On 13 November 2014 at the premises of Palace of Culture, the Institute for Democracy and Mediation (IDM) organized the conference: “EU integration process and the perspective of Albanian – Serbian relations”. The Institute for Democracy and Mediation (IDM) hosted in Tirana, on 13 November 2014, the conference entitled: “EU integration process and the perspective of Albanian-Serbian relations”.The event falls under the framework of the Security Research Forum: “Belgrade-Pristine-Tirana”, a three-year joint initiative of three partner organizations: Belgrade Centre for Security Policy (BCSP), Kosovar Center for Security Studies (KCSS) and IDM, supported by the Royal Norwegian Ministry of Foreign Affairs. The conference aimed at focusing on the role of political and societal elites in upholding efforts and expectations that derive from the common EU agenda and the ways for Serbs and Albanians to improve their mutual relations. 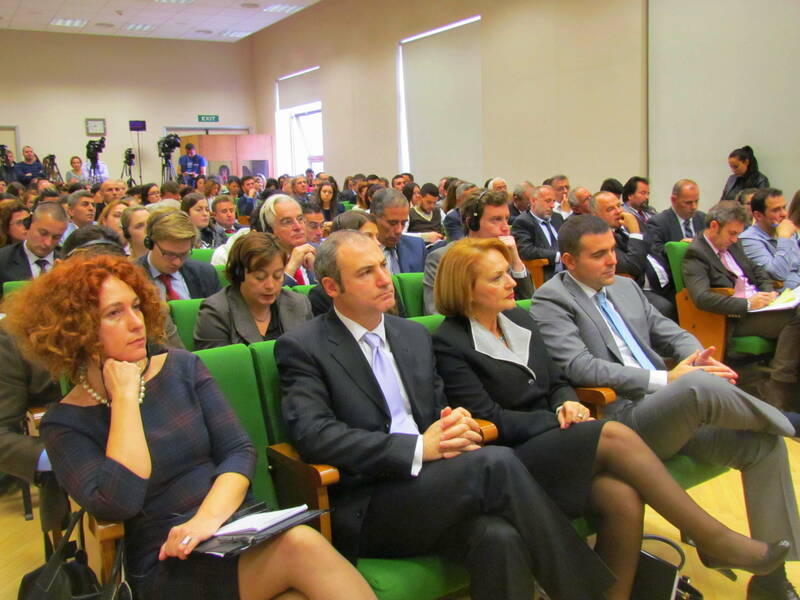 During the opening remarks, foreign diplomats and representatives of the Albanian Parliament, namely: Arta Dade, Aldo Bumçi, Romana Vlahutin and Jan Braathu, underlined the impact of good neighborly relations and regional cooperation, as the way for developing the full potentials of the Western Balkan countries. They also pointed out that the EU in essence is a peace project based on compromise and generosity, and a good example of how former adversaries can become the closest allies. The first panel focused on the EU prospective of Serbia, Kosovo and Albania, as well as the transformative power of the EU. Paskal Milo, Dusan Janjic and Sokol Dervishaj underlined the necessity to change the perceptions of the new generation, as this is an important investment in security and stability achievement. The countries should benefit from the chapter opened at the Berlin Conference last August, as regional cooperation and integration of the economies are needed in order to increase competitiveness, as well as to become more attractive to foreign investments. 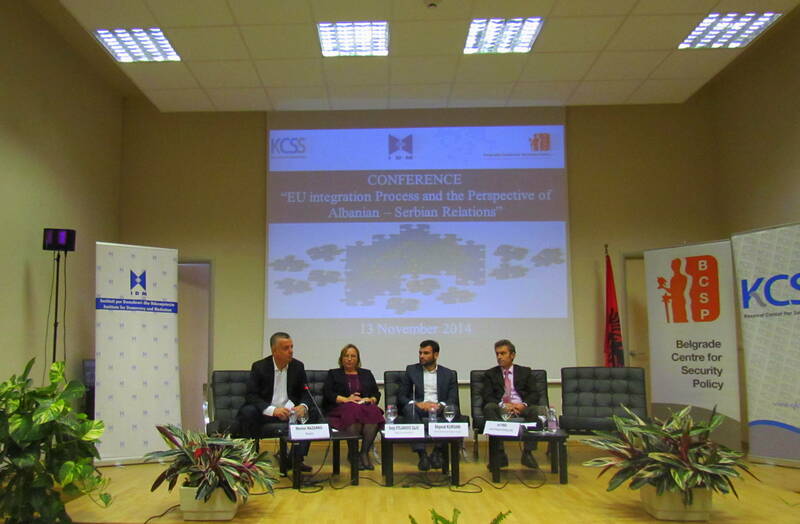 The second panel focused on the cooperation on security matters in the triangle Belgrade-Prishtina-Tirana. Sonja Stojanovic Gajic, Shpend Kursani and Arjan Dyrmishi pointed out that security could be the entry point for improving cooperation between the three, since we are all faced with the same security challenges, such as organized crime or terrorism. The cooperation between law enforcement agencies is the core of European security. In conclusion, it was confirmed that the EU integration process has to be considered as the only way to solve the existing problems in the bilateral and regional relations in the Western Balkans, ensuring hence the integration of values, consolidation of peace and economic development in the region.